In many cases, new sponsor assets are created in response to a sponsor need or a property/fan necessity. Given the consumer's growing appetite for cause relationships and increased pressure from environmental activists, green sponsorships have the potential to accomplish both. But green sponsorships don't come without hurdles. Often times they deal with never before seen sponsor assets and platforms, and in some cases, are best tied to previously untapped categories. When improperly executed they can even cause sponsor backlash. Such was the case when Exxon Mobil sponsored the Nationals L.E.E.D. stadium earlier this year. 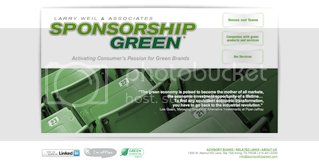 The first rule often heard for sponsors is "don't sponsor green unless you in fact are green." On the property side, who will guide environmentally-conscious initiatives from a required cost to a pro-active profit center? 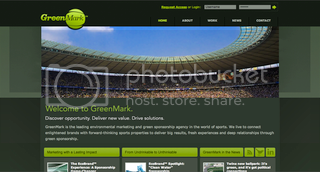 Two specialty practices dealing in the green space are GreenMark Sports and Sponsorship Green. As with other cause initiatives, longevity, authenticity and communication are critical to a campaign's success. "A sports venue is a community icon. Built and operated as a sustainable asset, it becomes a global platform from which to tell a sponsor’s sustainability story," says GreenMark's website. "GreenMark connects brands with big league venues that care about meaningful environmental stewardship and leverages them into high value experiences." The pressure is on to build sustainable stadiums abroad as well. Look no further than the Dalian Shide Football Stadium in China and the Rectangular Stadium in Melbourne. While we may not be there yet in the U.S., look for sustainability in stadiums to be a major focus over the coming years. Driven by successful case studies, past horror stories and consumer demand, look for demand to grow in the green sponsorship space from properties, sponsors and their respective agencies.